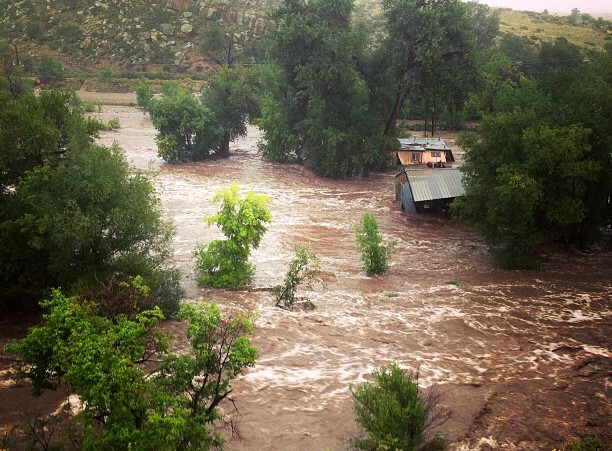 The Colorado National Guard has begun to evacuate Lyons, Colorado (pop. 2000), after extreme flooding left the entire town cut off and flooded out with no sewage or fresh water for more than a day. Gov. John Hickenlooper, who described the late summer storms as the “largest… I can imagine in the state’s history,” ordered the evacuation of residents on Thursday, but National Guard members were unable to reach the residents until the weather calmed. The town of Lyons is one of several communities to face severe flooding after more than a foot of water has fallen on the region since September 1, breaking a 73-year-old-record. Boulder Canyon and connected rivers and creeks have swelled and over-filled as officials warned of surges of mud and debris. 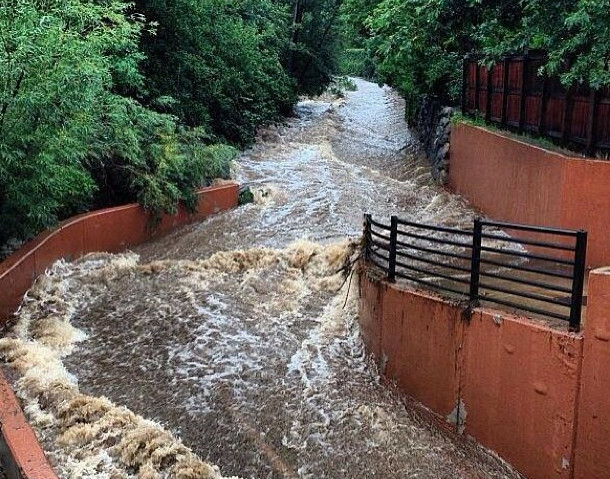 Three people have been reported dead in the resulting floods and thousands more have been evacuated from the Boulder region. In Lyons, north of Boulder, several hundred of the town’s 2000 residents remained in place as the storms hit. As water cascaded onto US Route 36, the town was left virtually cut off from surrounding areas, while flood waters entered homes and caused residents throughout the town to be left without fresh water or sewage. CNN reports that late last night a “handful” of National Guard members, accompanied by representatives of the Federal Emergency Management Agency (FEMA) were able to reach Lyons, but only with incredible difficulty. It is hoped that with the assistance of 100 National Guard and 21 water-fording vehicles, residents can be helped to safety.